To a casual observer, things are looking great in the stock market. Markets keep setting new records and the bull run seems like it should keep on going as long as the American economy continues to recover. It feels like a time when anyone can make money in the market, just like the crazy days during the tech bubble and housing bubble. Remember how those ended? The foundation behind this current bull market is just as shaky because most of these gains are only coming from loose Fed policy. As soon as the Fed slightly changes course, the market’s likely to come crashing down. Since the last market crash, the Fed has adopted extremely easy money policies. The Fed has kept short-term market interest rates at 0% for over 6 years now. Beyond that, the Fed also took extra steps with its QE programs. Under these programs, the Federal Reserve pumped trillions of dollars to buy up bank debt, Treasuries, and mortgage backed securities in an effort to lower long-term interest rates as well. Combined, these programs increased bank liquidity and lowered their borrowing costs so that they would be more likely to lend to the private sector. As a result, it’s been easier for companies to borrow money at a very low cost. These policies have led to a clear stock market bubble. One of the foundations of our capitalist society is that quality companies should profit while mediocre companies should struggle and eventually go out of business. This rewards innovation and creates a better society. Fed policy seems to have turned this upside down. The loose money policies have created an infinite lifeline for struggling companies. Firms with weak sales and poor balance sheets are able to keep tapping the bank for more money with hardly any borrowing costs. As a result, companies that should be struggling because of their business model keep posting stock market gains. This has led to a frustrating few years for active investors who focus on fundamentals. Only 21% of active mutual funds that focus on U.S. stocks beat their benchmarks over the past 5 years. When every stock, good and bad, goes up, there’s no benefit for researching and finding quality companies. If a mediocre company can fund stock buybacks and stay afloat on borrowed money, it delivers the same high return as a quality company. At least until the money runs out. The current stock bubble can only last as long as mediocre companies have access to financing. As soon as the punch bowl gets taken away, a lot of companies could be in for a real shock when they suddenly have to survive based on their own merits. This day is coming sooner than people think. Janet Yellen, the Fed Chair, announced this week that she plans on raising rates later this year. Even a gradual increase in borrowing costs could be enough to stall the current bull market. Whether it’s going to be enough to push companies over the edge is hard to say. All that’s for sure is that the last two market collapses happened seemingly overnight and were devastating. When the tech bubble collapsed, the S&P 500 lost 39% in only 6 months. When the market crashed after the housing bubble, the blow came even more quickly. The S&P 500 lost about 38% in just one month. If this pattern continues, stock investors will be in for another rude awakening. Investors have a few ways to prepare for the crash of the Fed bubble. It’s important to keep in mind that there’s a lot of junk out there trading at high prices. You want to make sure you’re out of the way when these stocks come back to Earth. While active, value investing has had a tough run lately, this style of investing pays off during tough market stretches when only quality companies earn money. While the 5-year performance of these funds has been dismal, over 15 years 58% of these funds beat their market averages. You can benefit by adopting a value investment strategy yourself or by investing in an actively managed value fund. It might also be a good time to start shifting out of stocks into other investments. Gold is definitely a good alternative. If we do run into another market downturn, gold will be one of the few assets that can hold its value. Yellen also remarked that she expects inflation to go up in the near future and that’s partly why she wants to raise interest rates. 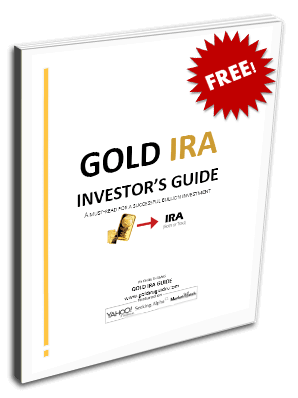 During periods of inflation, most investments suffer but gold increases in value. As long as the government keeps interfering with the market, we’re going to keep running into these wild market swings. The end of the Fed stock bubble could be coming soon and if history has taught us anything, when the Fed bubble ends the Fed stock crash will be just around the corner.